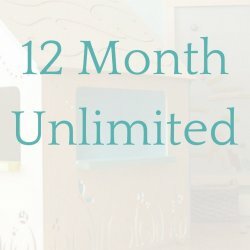 12 months of unlimited use for 1 child. Please read FAQ at the bottom before purchasing. Membership is valid for both locations. Jacksonville & Bartram Springs. No need to preschedule, just come play. Members receive $40 Discounts on Birthday Parties and special store offers. 1. $39 Registration fee will be billed after signing up for NEW families. This is a one time joining fee. 2. Siblings under 7 Months are FREE! 3. Siblings over 7 months can pick any membership at equal or lesser value at 70% off. Leave a note in checkout notes about age and membership level for a sibling so we can apply the discount. Siblings will be billed after the 1st child sign up. 4. Military discount is 10% off. Use code Military at check out. 5. Happiness Guarantee. We want you to be happy. If you change your mind within 3 days of enrolling, we will refund your purchase. 6. Get a Free Coffee Tumbler and Vagabond Coffee when you join on or before your first visit.